Bluegrass Pundit: Scary: Ebola can survive on surfaces for up to seven weeks! 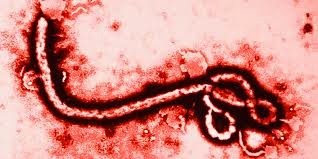 Scary: Ebola can survive on surfaces for up to seven weeks! The way to prevent an Ebola outbreak in the US is to stop people with Ebola from coming here. We need a travel ban on people from countries with Ebola outbreaks.